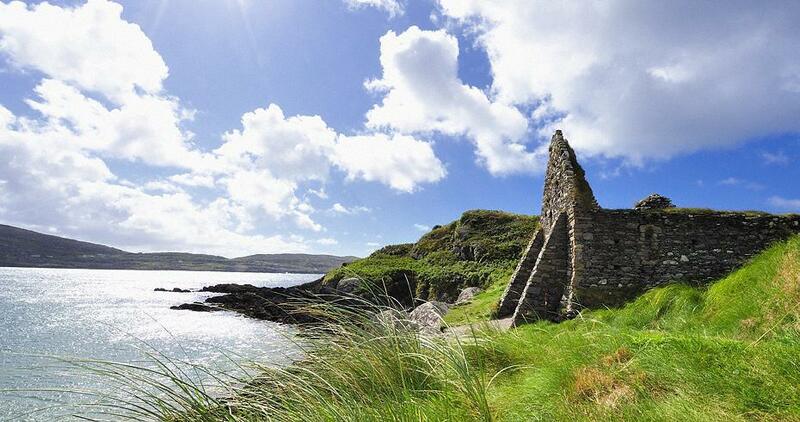 The ruin of Derrynane Abbey sits enthroned over one of Ireland’s most beautiful beaches. 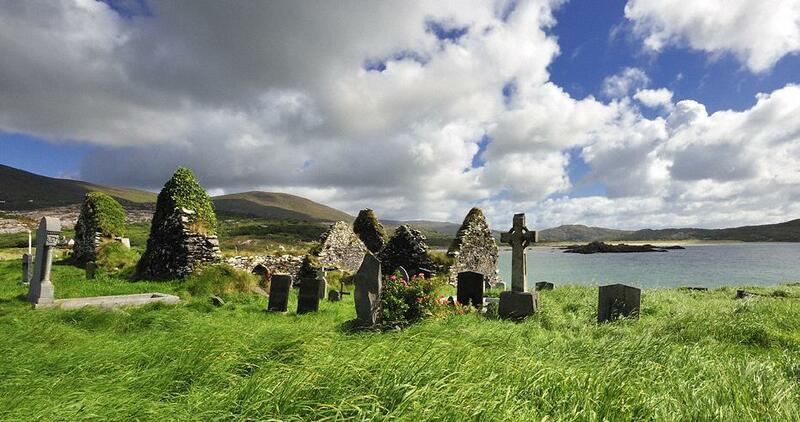 In common parlance, the idyllic patch of land on which the ruins stand, is called “Abbey Island”. This name is misleading as there is no real island. 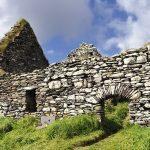 Because of the constant silting up the ´island` is connected directly with the sandy beach of Derrynane, so you can reach Abbey Island dry-shod. Most parts of the complex have suffered the ravages of time. 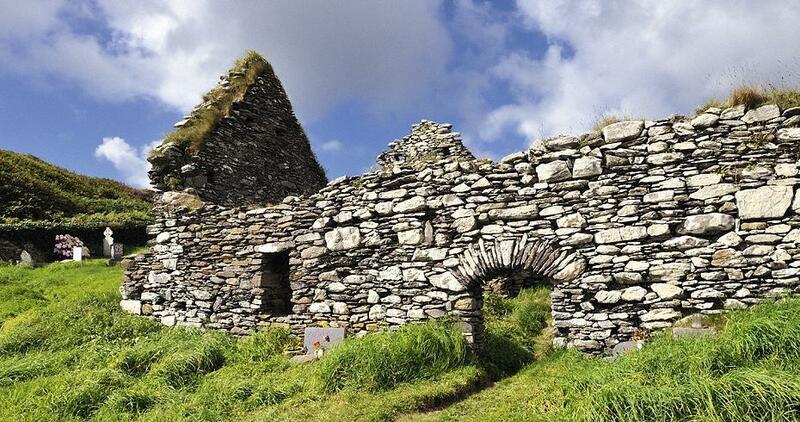 Only the main building of the ancient abbey with its windows facing the sea sticks out of the ruins. 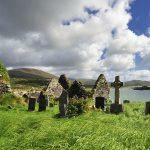 According to legend, the abbey was founded by St. Finnan in the 6th Century. Today the area is used as a cemetery. 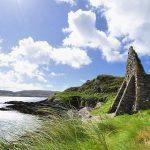 Abbey Island is part of Derrynane Historic Park.